Фотобанк РОСФОТО - микросток. Лицензионные Фото, Видео, Музыка - Machine mechanical parts background. Steampunk Illustration of Multiple elements Connected by wires and pipes. Machine mechanical parts background. 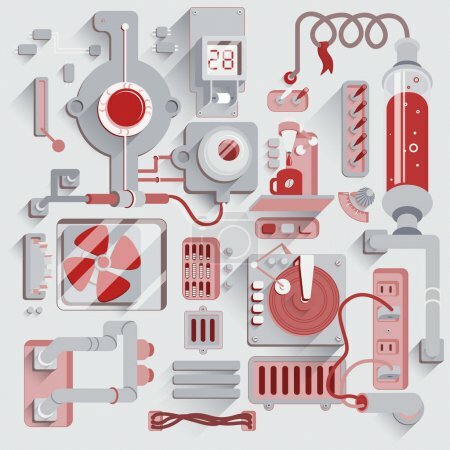 Steampunk Illustration of Multiple elements Connected by wires and pipes.